The national workshop in Lithuania was organised as one of the eight national workshops foreseen in the project of Keep-on-Track!. During these workshops, the latest RES situation in the country was discussed among Members of Parliament together with Government Representatives, Industry, NGOs, Scientists and other stakeholders. The main objective was to trigger a fruitful discussion among all stakeholders involved, about the RES Directive, the national renewable energy action plans and policies, the actual state of implementation and good practice policies. 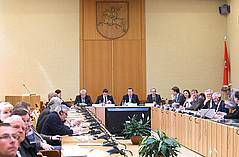 The discussion was particularly important because on Thursday 25 April, the first reading of the Lithuanian's energy strategy was taking place in the Seimas. During the roundtable it was underline that Lithuania faced three major challenges: energy security, energy sector competitiveness, sustainable development. 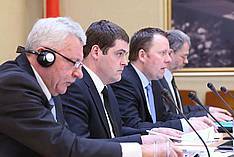 It was also mentioned that Lithuania should have an energy strategy based on diversification of the sources of energy. 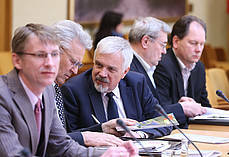 The attendees also discussed Lithuania’s interconnections with neighbouring countries, which could impact Lithuanian’s energy security and energy strategy, including price. But some of the benefits of interconnections were very high security and diversification of supply and the possibility to install large generation units in the region (nuclear power plants and very large wind parks). It was remarked that strong multidirectional interconnectors offer more options, more choices and more flexibility. For more information about the Keep-on-Track! Project please click here.